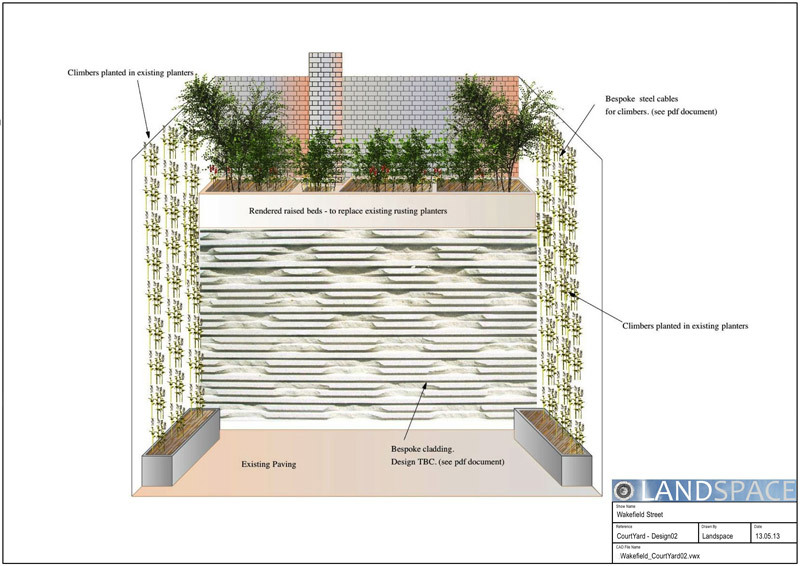 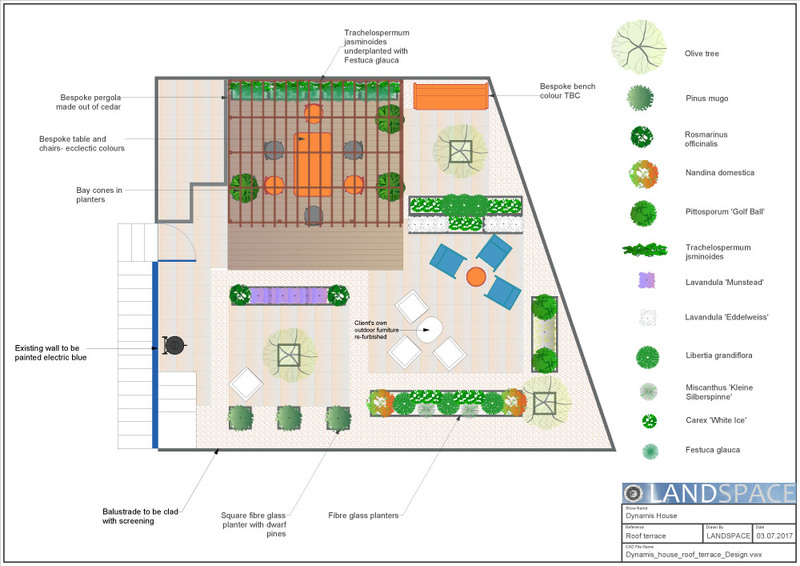 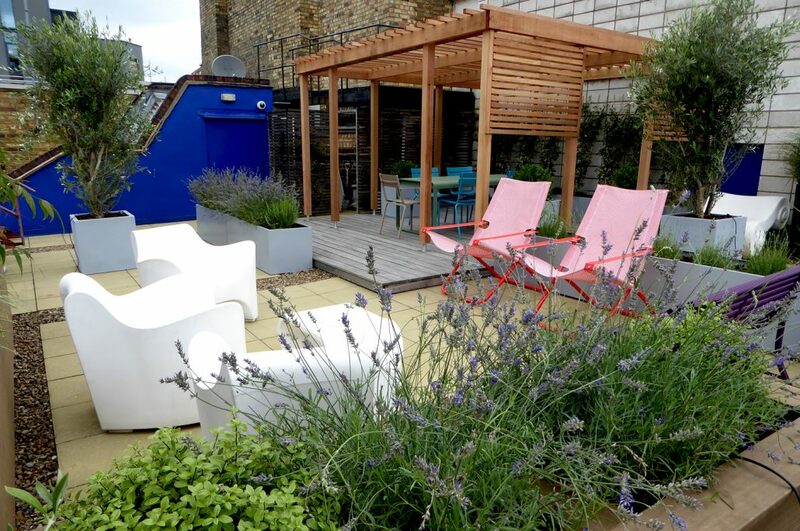 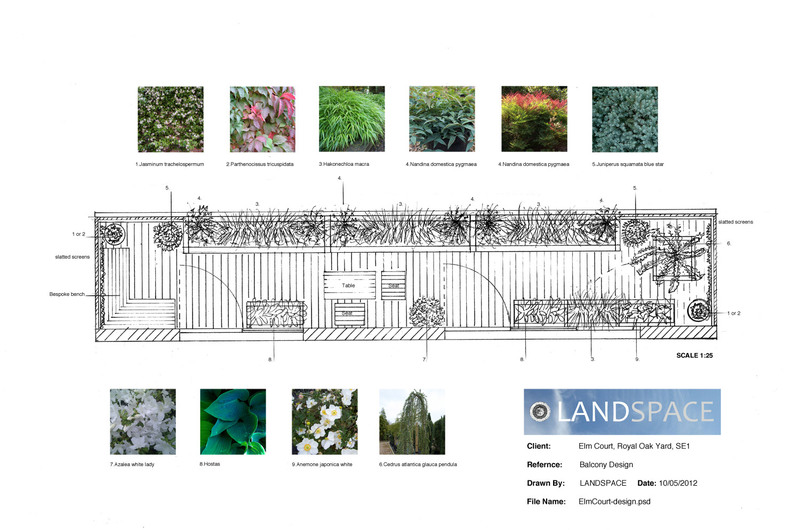 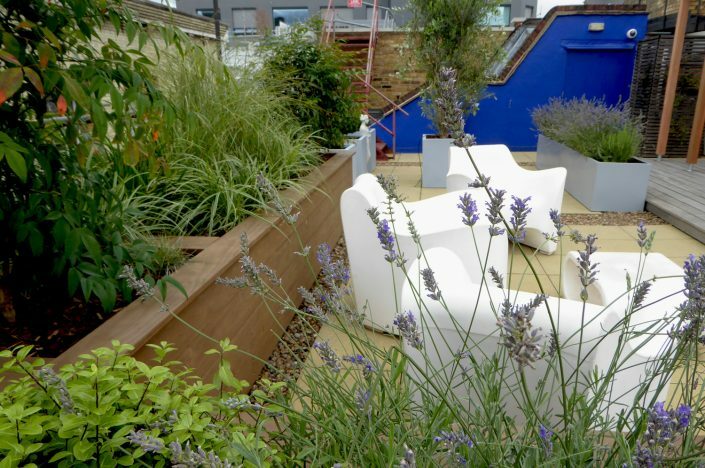 Garden landscape design for roof terraces & balconies. This Bermondsey client wanted to make the most of their balcony space and to be able to look out onto it from their bedroom. 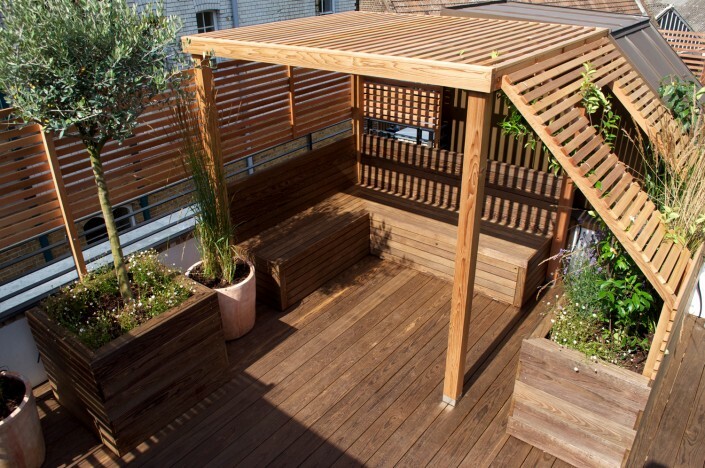 Angled slatted screens were made at each end of the balcony to give a little privacy and matching slatted trellising, seating and raised planters were also added to complement them. 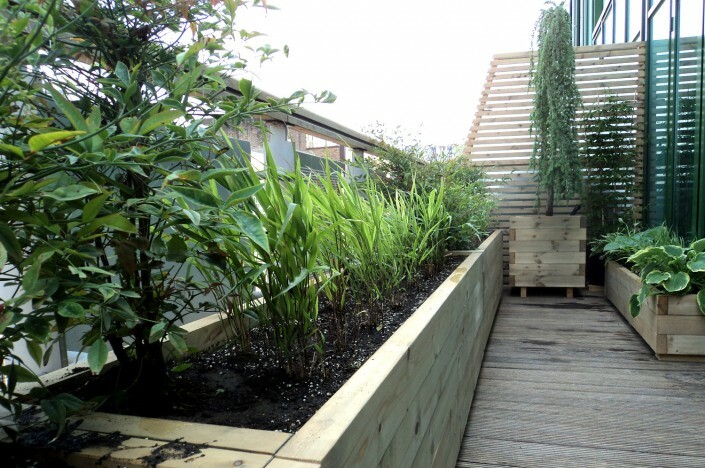 Hostas, Hakonechloa and Nandina were planted in the raised planters and a beautiful Cedrus atlantica ‘Glauca Pendula’ tree was planted at the other end of the balcony, as an attractive focal point. 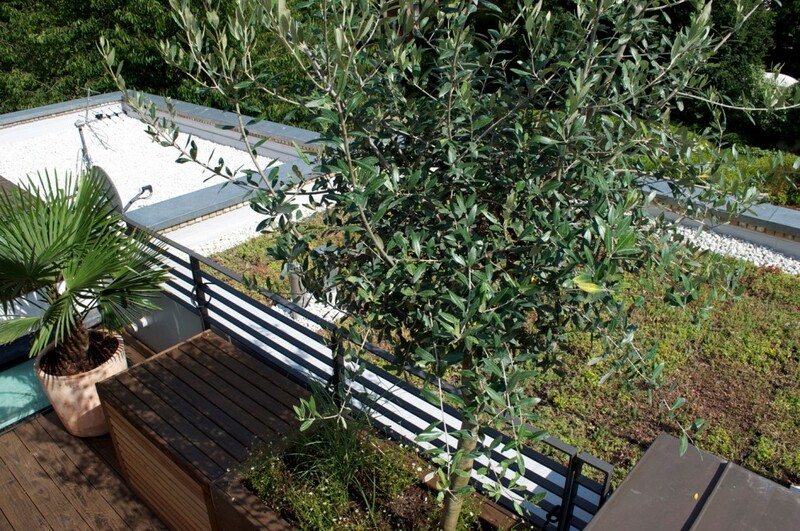 Read more about this ‘balcony garden’ by clicking here. 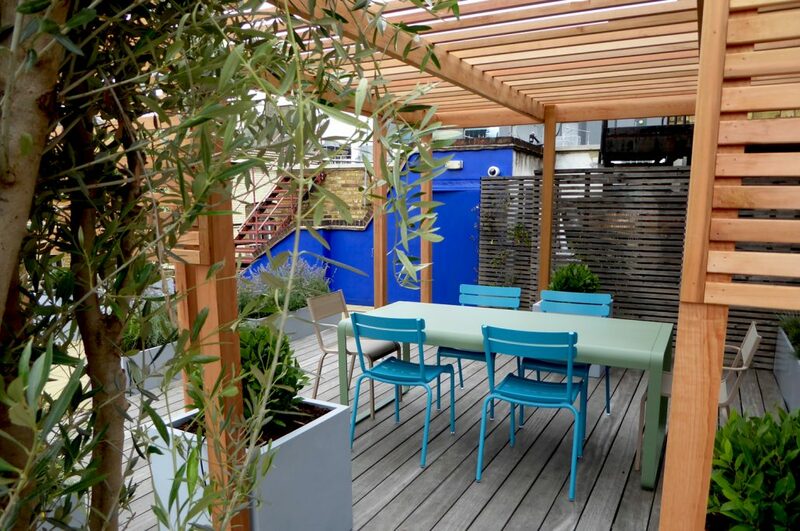 This next job was for a hard working professional couple who wanted to make improvements to their roof terrace due to having limited outdoor space. It was for a rare new-build property in Bloomsbury, central London, and was located in an area of significant historical heritage. 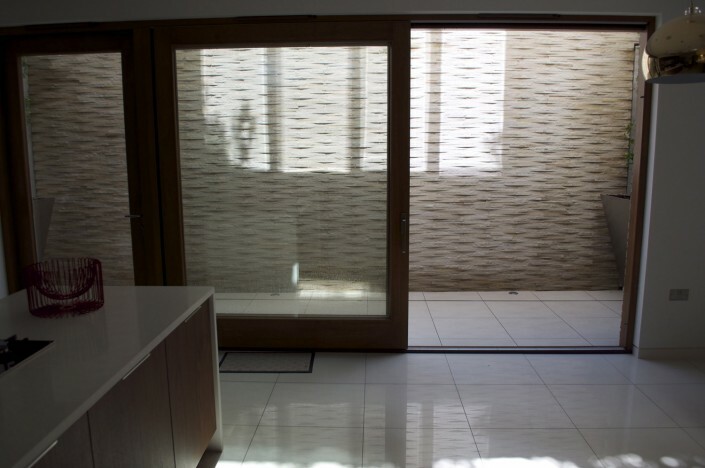 So the architects involved had to design something that blended both contemporary and traditional design. 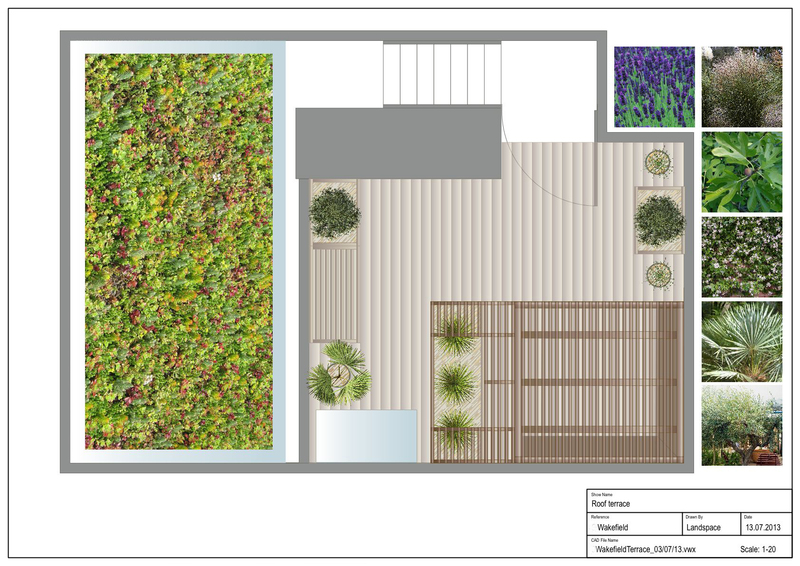 The brief was to create a special, private oasis; somewhere to retreat to away from the hustle and bustle of the city below. 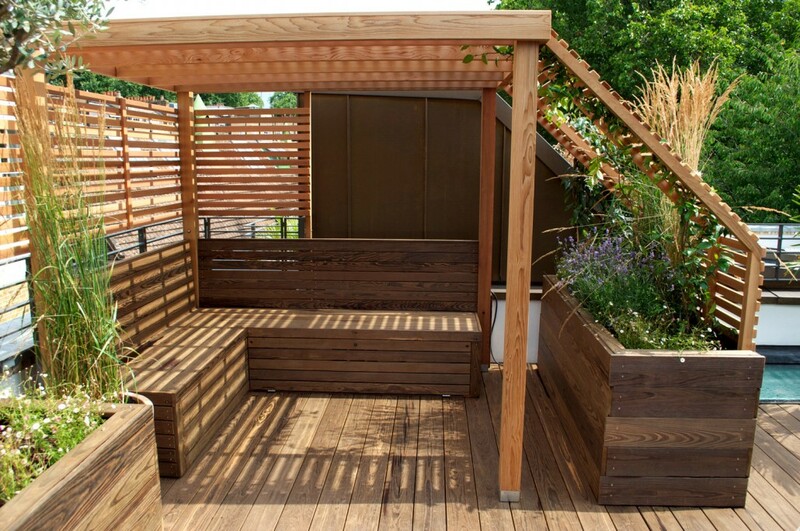 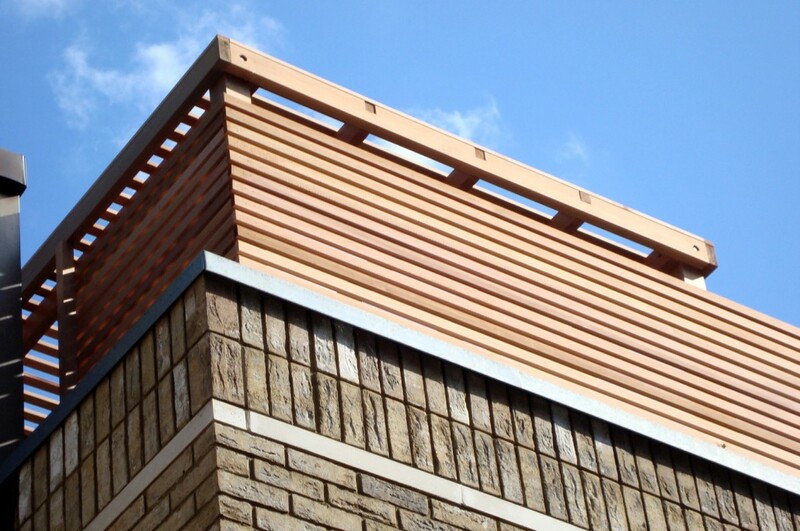 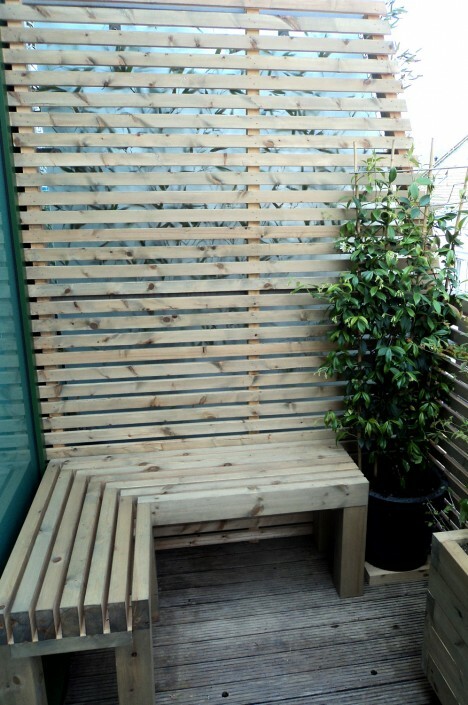 A rooftop pergola was constructed in Kebony with matching integral seating and bespoke wooden planters. 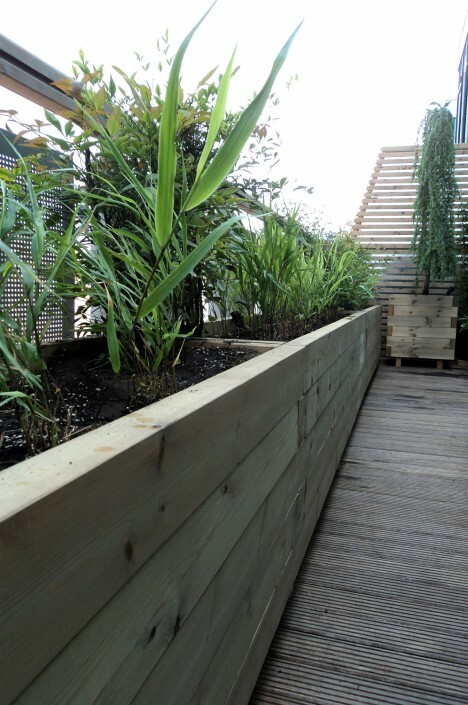 The area was completely re-decked in high quality screwless decking and bespoke planters were planted with small specimen trees. 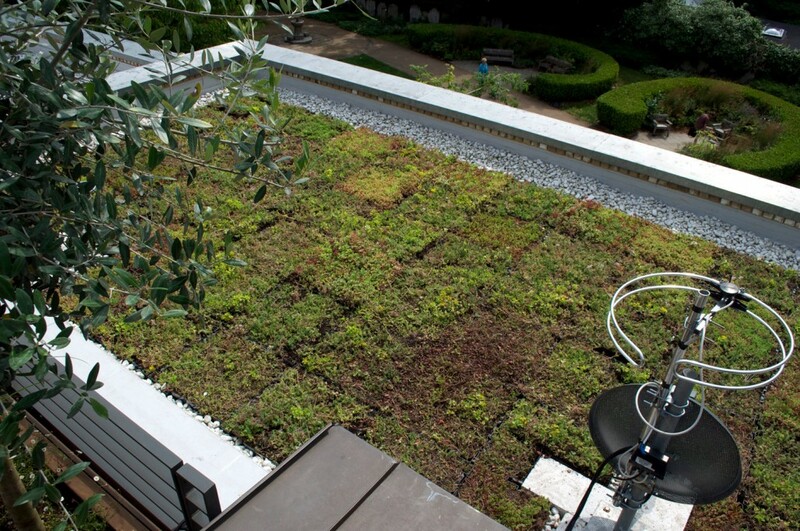 The adjacent flat roof was planted with a sedum ‘green’ roof which will soften its look as well as improving insulation, also attracting friendly bees and insects in the warmer months. 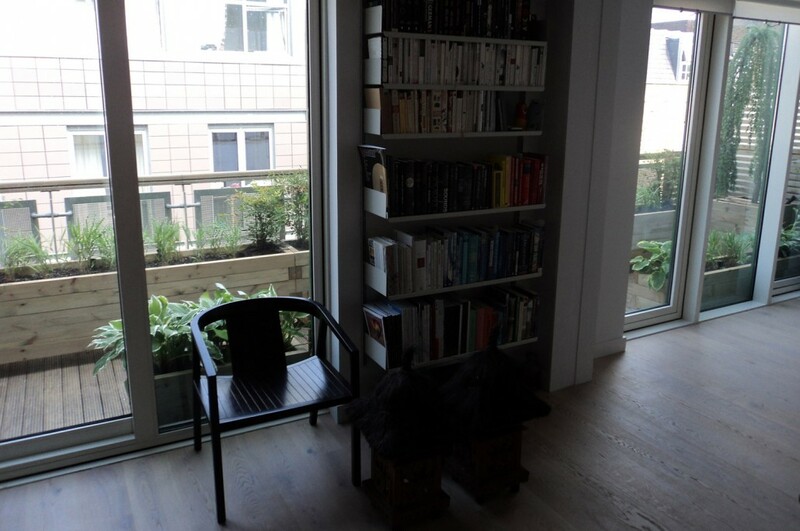 Air conditioning units were also carefully disguised using bespoke, slatted cupboards. 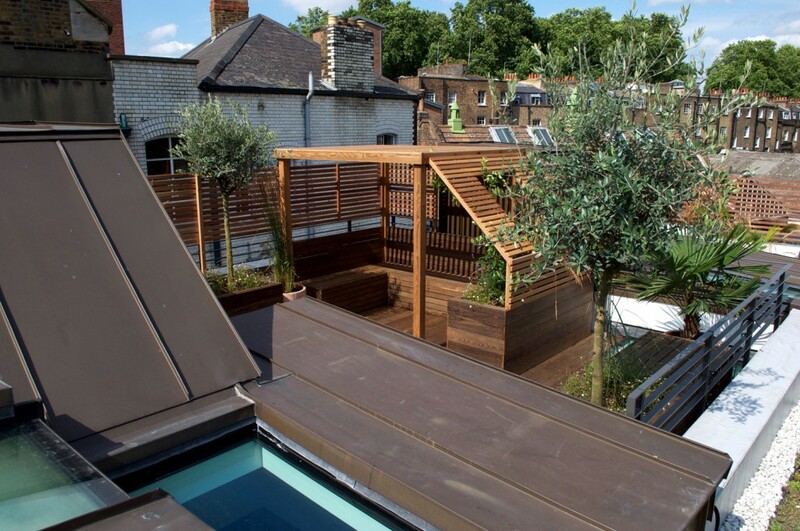 Learn more about this award winning and inventive roof terrace design here. Our brief was to create a more interesting appearance for a previously uninspiring and drab light well outside a basement kitchen in Bloomsbury. 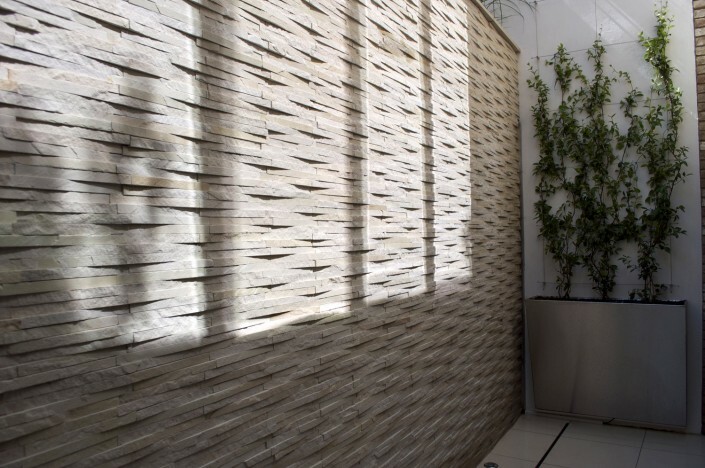 Quartz stone cladding was used to brighten up the existing wall and to give it a more interesting texture so as to please the eye. The top of the wall was planted with low maintenance grasses. 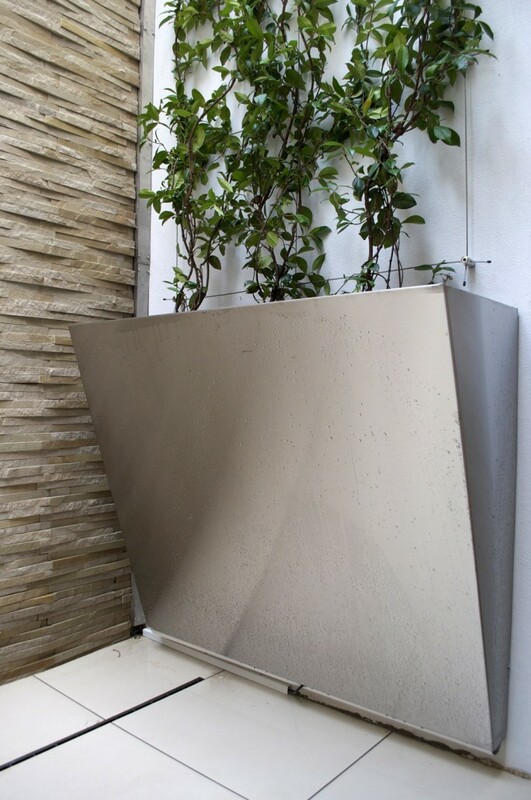 At each side of the light well, we fabricated two bespoke stainless steel planters, each with a tapered, modern design. These included micro-drip irrigation systems and housed climbers which were given a rig of modern steel cable trellis, on which to climb. To learn more about how we transformed this Bloomsbury light well, click here. Learn more about this roof terrace design here.